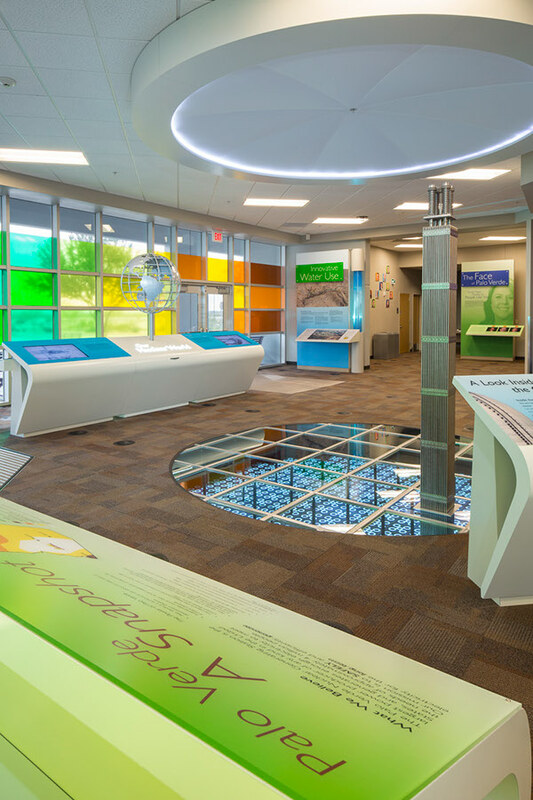 Working with our friends at Derse Exhibits, Gradient Labs designed and developed a suite of seven applications (iOS and large-format multitouch) and a video for the Energy Education Center of the largest nuclear power plant in the United States. 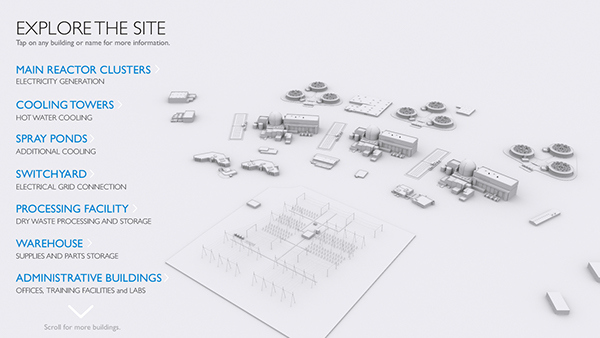 Explore the Site offers an explorable 3D version of the entire facility. 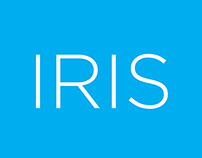 A large-format interactive, visitors can both navigate freely using familiar multitouch gestures and explore using a building index that appears on the left. The default location, showing a birds-eye view of the entire site. A close-up of the Main Reactor Cluster. 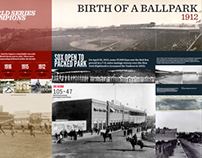 The building list adapts contextually, providing further detail on building components. A depiction of the three primary energy loops in a pressurized water nuclear reactor clearly illustrates how the plant generates electricity. An extensive research and storyboarding process with the client produced a technically accurate and easy-to-understand fly-through of complex systems at work. 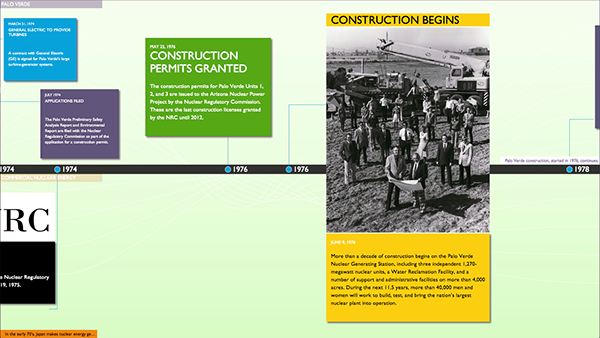 Two large touchscreens present a timeline of the development of nuclear technology, and a parallel timeline of key events throughout the planning, construction, and operation of the plant. 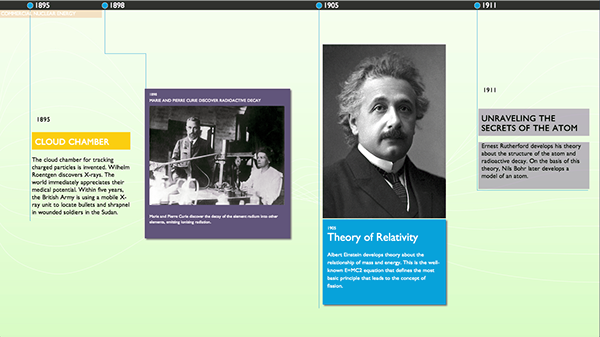 This timeline is driven by our our own flexible timeline toolkit. 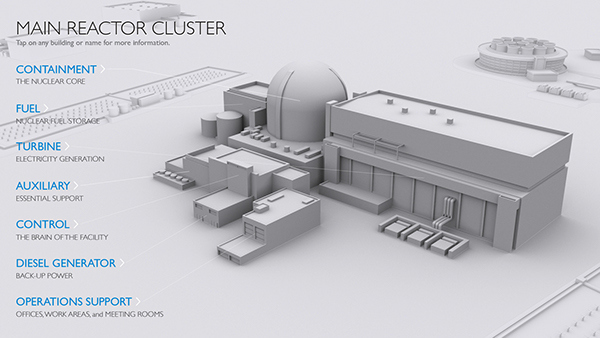 Our Nuclear World is a touch-screen based interactive visualization of key information about the nuclear industry. 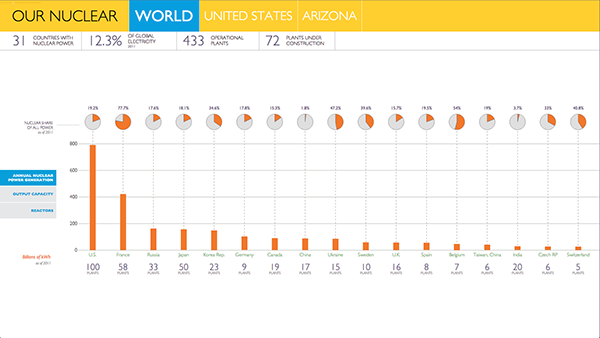 Driven by a live data set, it presents key facts and figures about nuclear power globally, in the United States, and in Arizona. 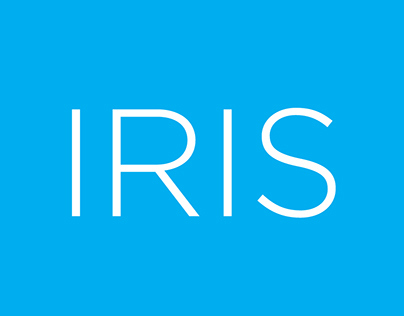 Various drill-downs for more information are available throughout the application, and it will evolve over time as the industry changes. Here, we see annual nuclear power generation around the world, along with an aligned chart on top showing nuclear's overall share of all power generation in that country. 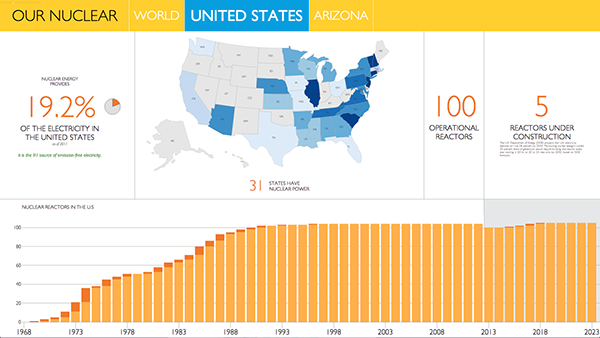 The screen on the United States, showing the number of nuclear reactors over time, geographic distribution, and various key facts. A custom iPad app controls video playback on a large monitor. 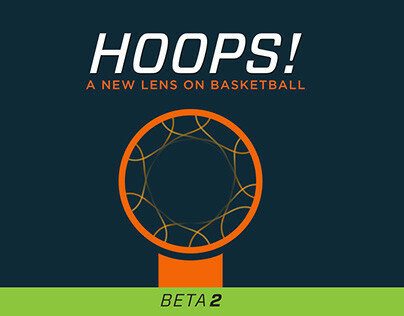 The app automatically checks for new and changed content on the video server, ensuring easy updates over time. 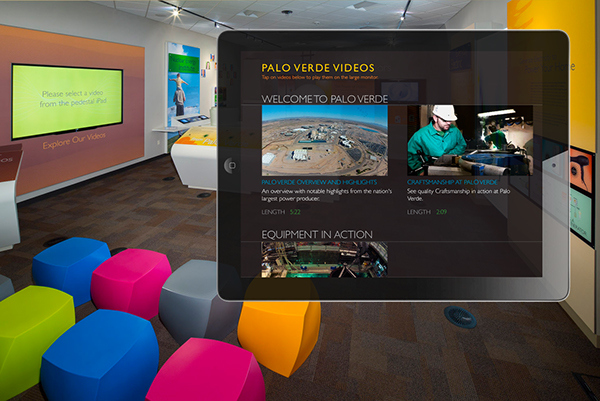 The iPad is normally mounted on a pedestal near the monitor for visitors to choose videos of interest. 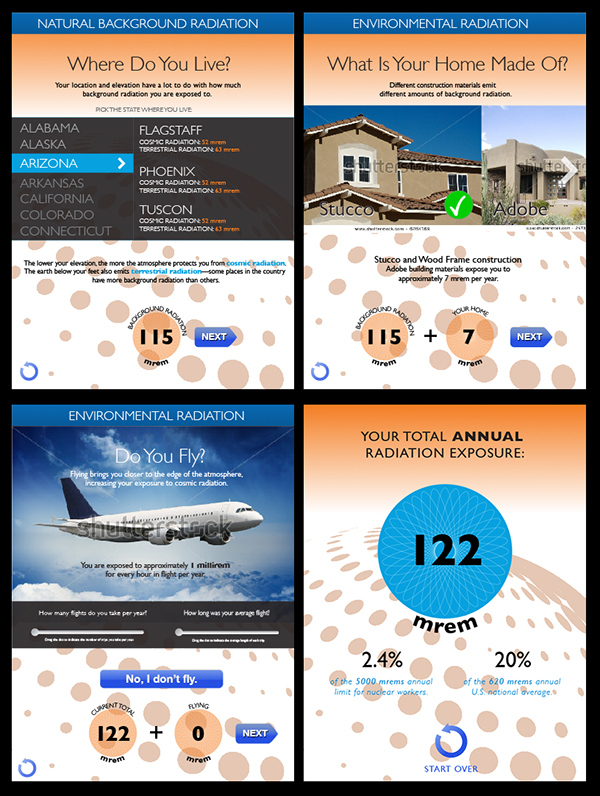 An iPad app asks a visitor a sequence of simple questions to estimate their yearly radiation exposure. 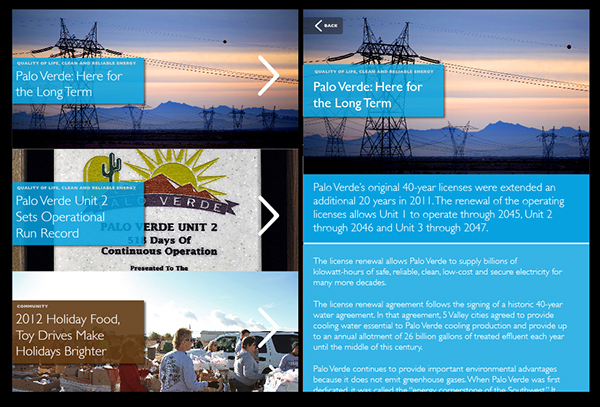 An iPad app offers access to current stories related to the plant and the nuclear industry. 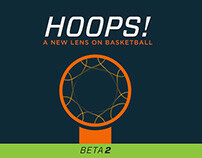 The app updates itself from a standard blog, ensuring easy content management for communications staff. Jason Simmons: Research and storyboards, UX/UI, Technical and Art Direction, Motion Graphics.